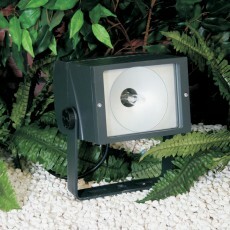 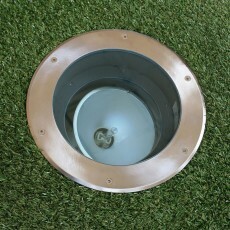 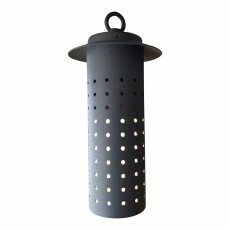 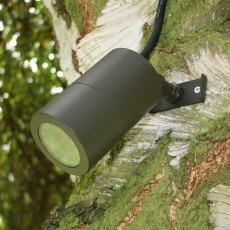 Outdoor lighting requires some thought and a little bit of planning. 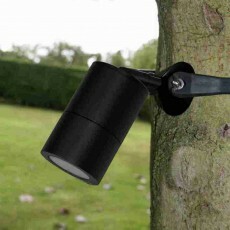 Trees vary enormously in size and shape, but most trees can be lit very well using outdoor tree lights with 36˚ or 60˚ beam angles. 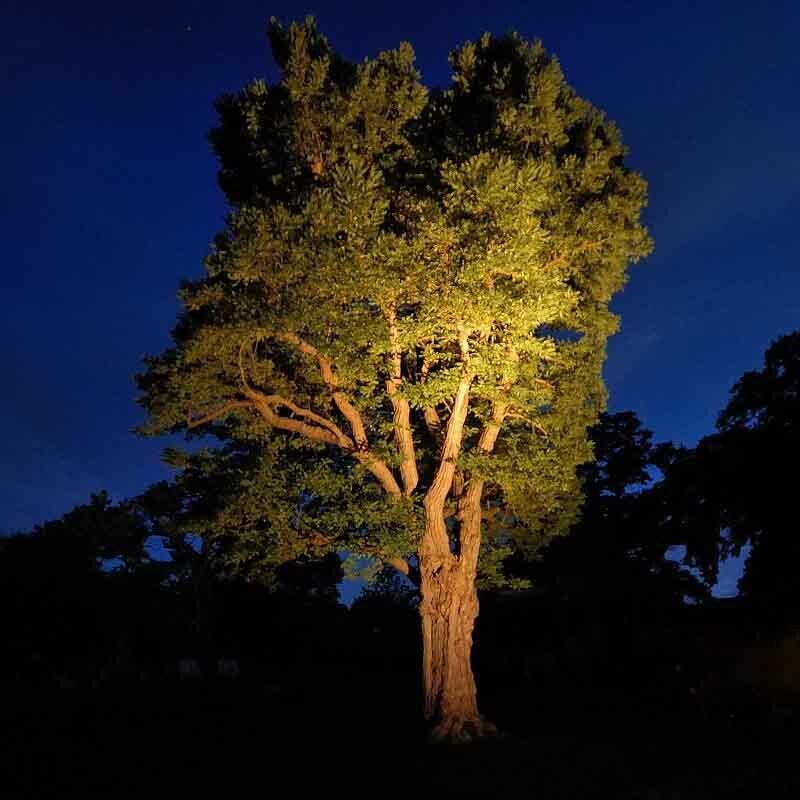 Picture opposite : 8m high oak tree illuminated with the aid of Titan26 LED Spotlight - 240v - 26w Warm White. 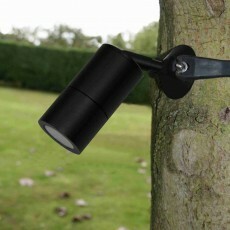 If a tree has an open canopy the outside lights can be placed close to the trunk and pointed upwards to good dramatic effect. 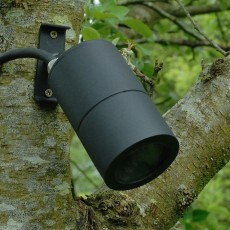 But where the foliage is dense it is better to light it up from the edge of the canopy. 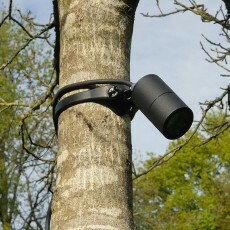 Grazing the outside in this way emphasizes textures and avoids the lower branches blocking the light from reaching the top. 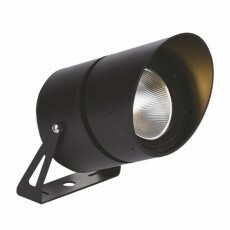 Choice of LED lights and metal halide lighting available. 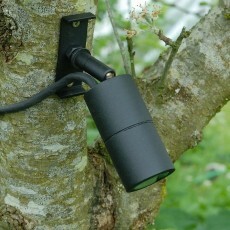 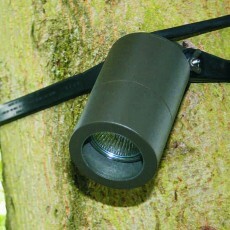 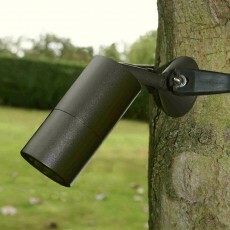 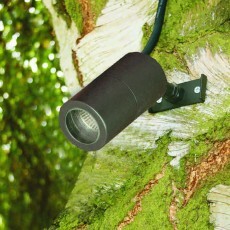 Free strap with each Tree mounted spotlight ordered.